If you've been looking for a fighting game to play on Switch, today's your day. 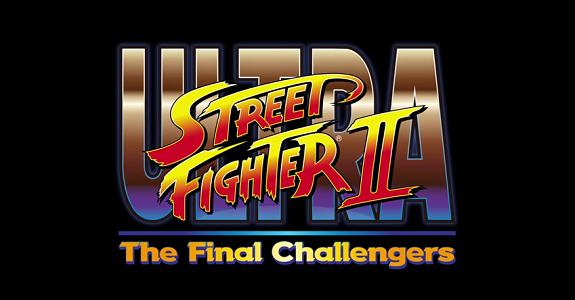 Ultra Street Fighter II: The Final Challengers is available now on Nintendo's console. The Final Challengers is an updated version of the original Street Fighter II, and it adds several new modes, updated graphics, and two new characters, Evil Ryu and Violent Ken. A new cooperative mode lets two players fight together against AI enemies, and players can also flip between original and updated visuals by pressing a button. Players will now also be able to change characters' costume colors. The game also introduces Way of the Hado, a first-person fighting mode that uses motion controls. Although Ultra Street Fighter II is a 2D sprite-based game, Way of the Hado is 3D and uses assets from Street Fighter IV. In addition, this version adds an art gallery that includes 1,500 pieces of Street Fighter art, including some that have not been released previously. Ultra Street Fighter II is out now on Nintendo eShop and at retail for $40.